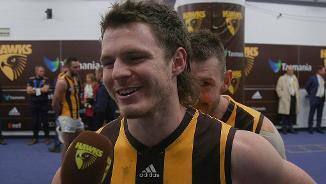 Blake Hardwick discusses his season, the win, and what Hodgey's guidance means to him. Young Hawk Blake Hardwick has put pen to paper, signing a contract extension to keep him at Waverley. 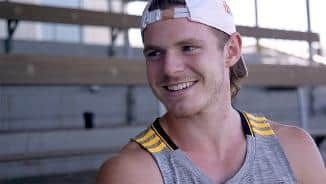 Blake Hardwick has been recognised with a Round 15 Rising Star nomination. 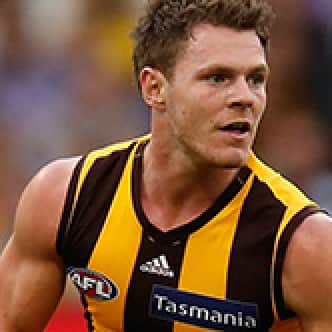 Hardwick started the year hoping to cement a berth in Hawthorn’s best 22 and ended it as runner-up in the Peter Crimmins Medal. The medium-size deep defender was rarely beaten in one-on-one contests, be it in the air or at ground level, and his acceleration from the contest, his brilliant disposal and his super-competitiveness made him a huge weapon coming out of defence. 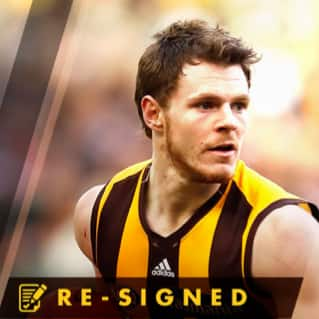 Hardwick was one of five Hawks to play every game last season and has re-signed until the end of 2021. 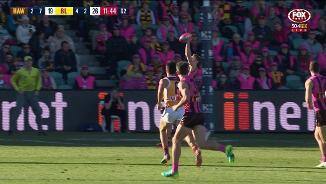 Player honours: 2nd best and fairest 2018; NAB AFL Rising Star nominee 2017. 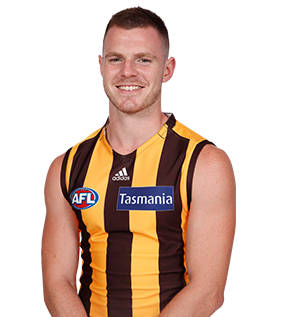 Draft history: 2015 NAB AFL Draft 3rd round selection (Hawthorn) No. 44 overall.